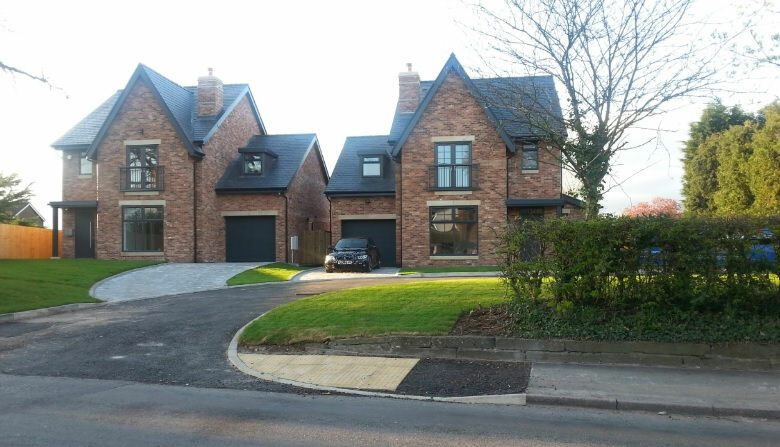 Goostrey Parish Council have registered to speak and submit evidence to oppose the appeal by Henderson Homes for six houses (behind the pair newly constructed on Main Road, Goostrey) at the forthcoming public inquiry. Objections should be submitted to the Planning Inspectorate by 25 April. ….. click to the planning inspectorate website where you can read all the documents for the case 3166025 – and click on ‘Make Representation’. The Henderson appeal here in Goostrey, if allowed, would add to the cumulative impact on JBO through creeping development and could set a precedent for over-riding JBO objections to future sites elsewhere in the village. Whilst the site may seem at first glance a suitable spot for housing, it is in direct line of sight of the Lovell Telescope. Are six extra homes in Goostrey worth the potential cumulative impact on JBO – leading to “death by a thousand cuts” as described in the Gladman appeal on an immediately adjacent plot? We are, after all, somewhat unique as a village in having such a world-class, iconic neighbour “given the importance of the work carried out at the Jodrell Bank Observatory”, to quote the Sec. of State. In his objection Professor Garrington says, ‘the cumulative impact of this and other developments is more significant than each development individually’. Strangely Emery Planning’s Statement (on behalf of Henderson Homes) states that the floor space of the six houses would be the same as 3 homes that were previously unopposed by JBO. Perhaps they have not understood that JBO objects to radio interference from electronic devices rather than size of rooms. Clearly 6 homes with 23 bedrooms would house quite a number of people using such devices; mobile phones, microwave ovens, wifi, computers, game consoles, even l.e.d. lighting and so on. ..that Goostrey has a butchers, it does not. The 319 Bus. In fact this only operates outside commuting times and only in one direction so one cannot return from the railway station by bus. Goostrey’s Neighbourhood Plan lists 23 approved/constructed dwellings rather than Emery stating only 13 [not to mention the 39 being built on the village boundary]. They state that the appeal site ‘enjoys the benefit of the extant permissions for 2 and 3 houses respectively’. However this is not, as they state, an ‘important fall back position‘ as the site where the 2 houses have been built (15/5517C) is outside this appeal site. Furthermore, only 1 of the 3 houses (13/4266C) is located on the appeal site – so could no longer be physically achieved as originally applied for. Henderson’s current application for 1 house [of the 6] is not mentioned – which has also been opposed by JBO. Objections should be submitted to the Planning Inspectorate by 25 April. …..
go to the planning inspectorate website where you can read all the documents for the case 3166025 – and click on ‘Make Representation’.